Well, it was supposed to be the final episode, but in true Gomer form, things didn’t go as planned. 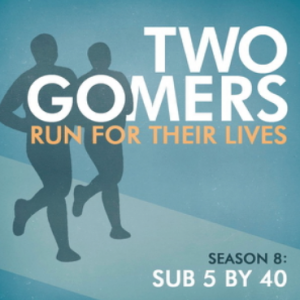 The guys needed to add ONE MORE episode, coming on Thursday, since they spend more time than they thought they would on what the journey to the marathon has meant to them, how it’s changed them, and what’s next. Everest, anyone? Is that…the GOMERS? No. No it’s not. We’ve built these last two episodes around questions from the Gomernation, so enjoy! And, as always, let us know what you think. Happy Running! Great show, as always. I’m so glad you two will continue to gomer through new projects and share your journeys with the rest of us via podcast. 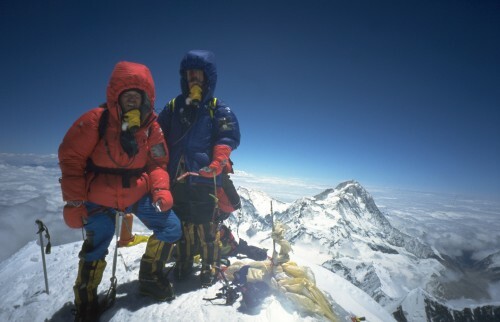 As for the future project ideas, I have some comments about climbing Everest, but I’ll reserve them for when/if you guys get serious about that. I think triathalon training is a great idea, but I had another to throw in the mix. How about a one-day, rim-to-rim, Grand Canyon hike? These hikes are similar in length to a marathon (about 24 miles long), but they require that the hiker descends and then ascends 5000 or so feet in one day. Very challenging (I hear–haven’t done one). Maybe this idea would keep you two from spending a bunch of money right away–give you time to get sponsers for the triathalon.